Seasonal holidays are a great time to add a bit of extra fun for the kids. Making games reflecting some of the themes of the holiday is one way to do this. 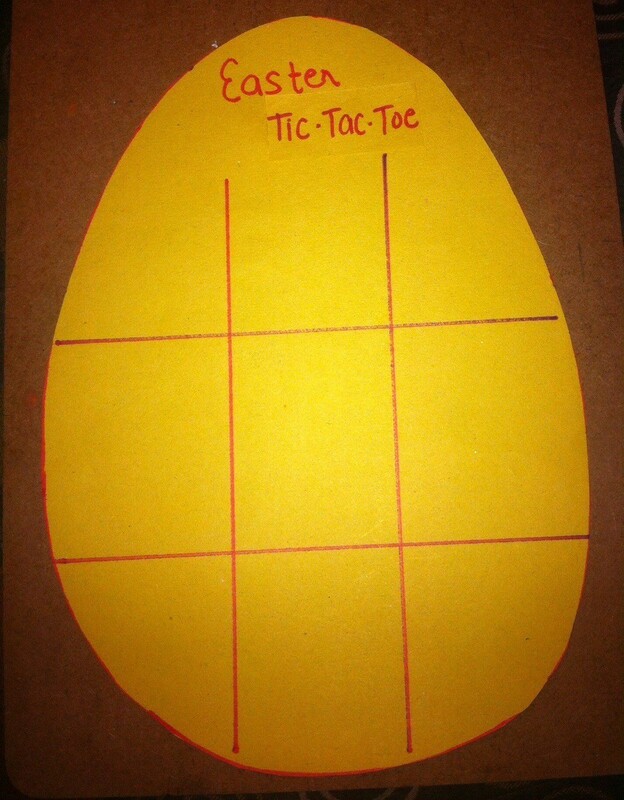 This page contains instructions for making an Easter tic-tac-toe game. 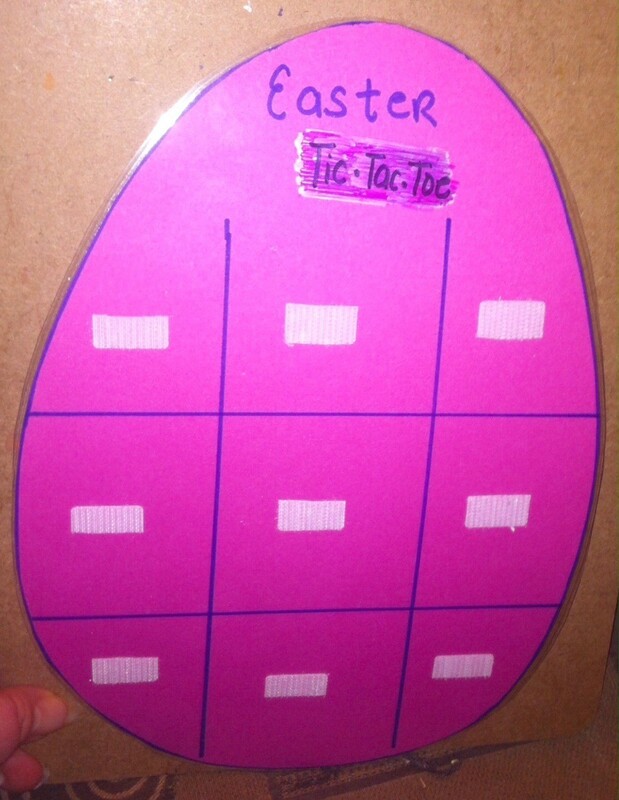 Easter is such an exciting holiday for children. They get to look forward to church activities, egg hunts, baskets of goodies, and time with family. There's also plenty of games and crafts to do in school, leading up to Easter. 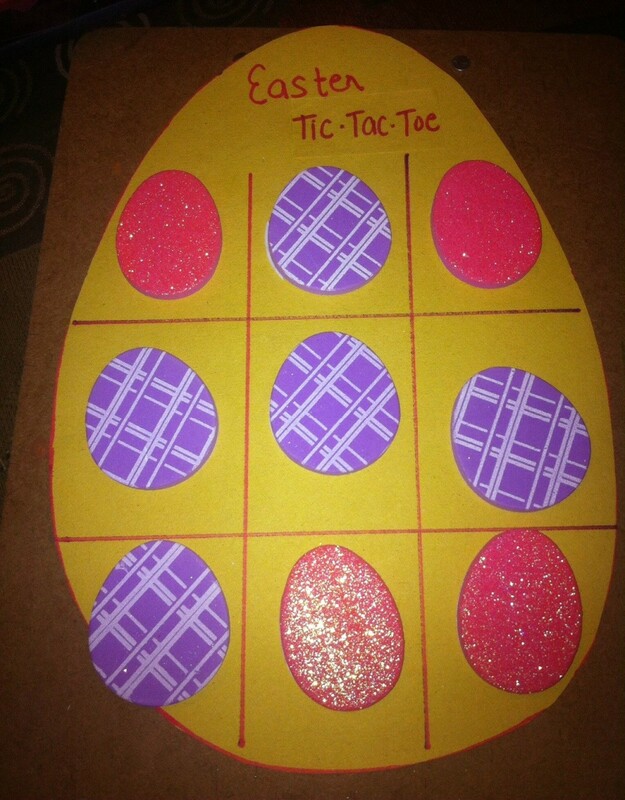 One of the easiest to make is Tic-Tac-Toe. I would probably leave this particular game in the manipulative center for kids to play with. They can practice taking turns and learn to be a good sport. 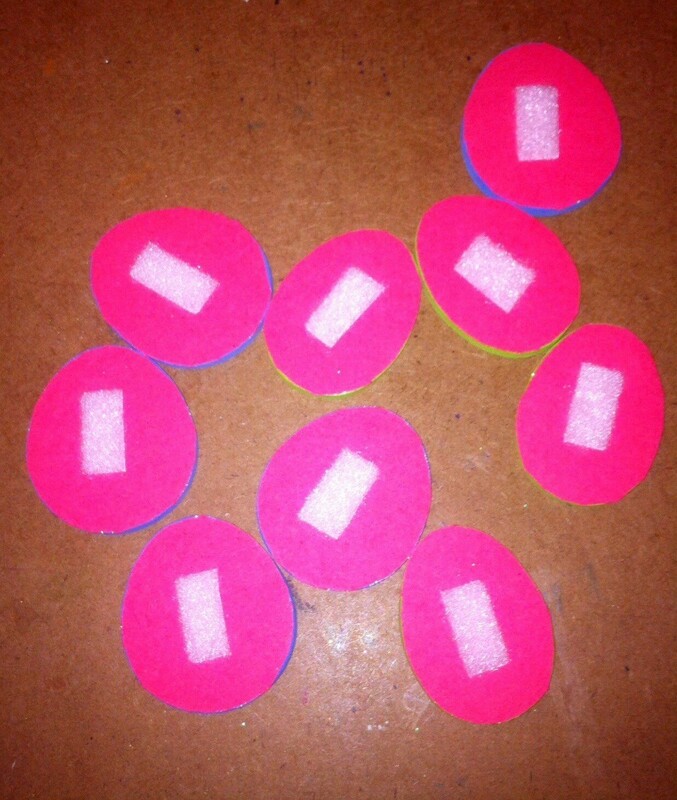 It's also good for improving fine motor skills, as children have to repeatedly peel off Velcro pieces. 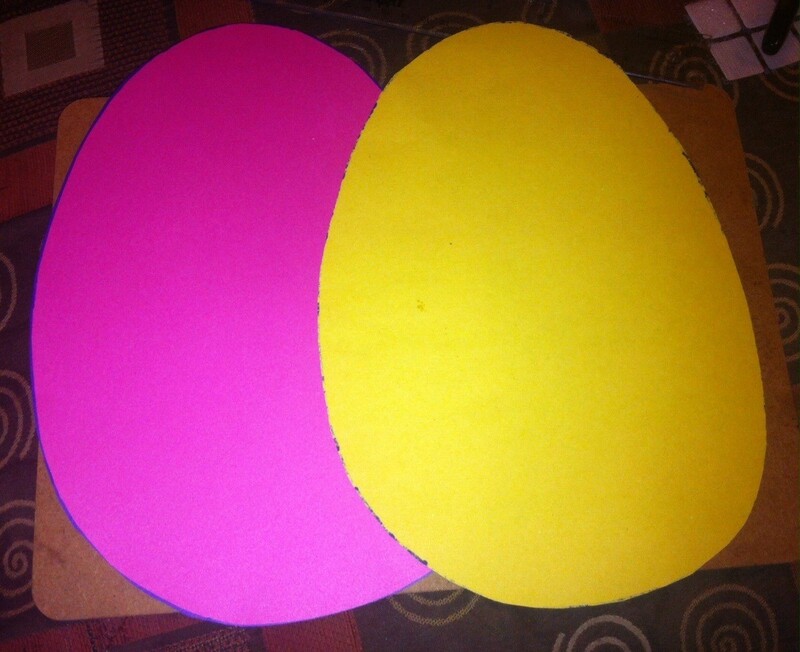 Cut out two egg-shaped game boards. Mine ended up being roughly 7x10 inches. Draw the Tic-Tac-Toe lines and give your game a title. Now two players use 5 like stickers each to play. 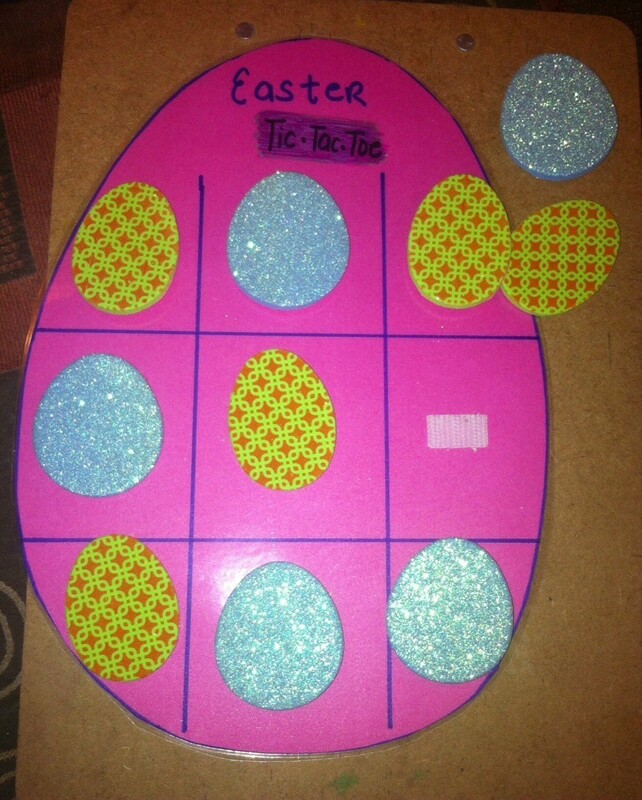 I used larger stickers than what are in the supplies photo because my game board turned out larger. This board is not reusable, as each sticker is placed directly on the paper. 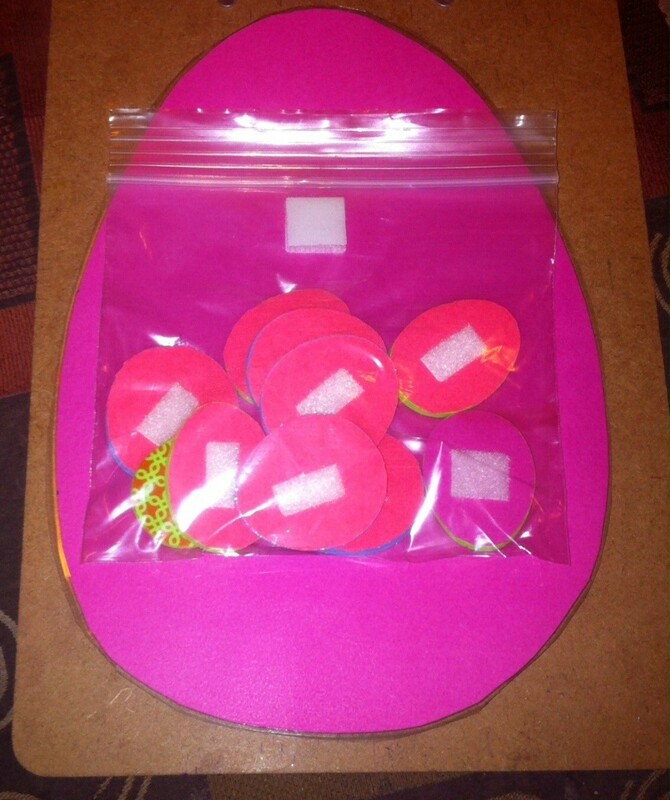 If you plan to laminate the game board, then you can also laminate any flat egg stickers. 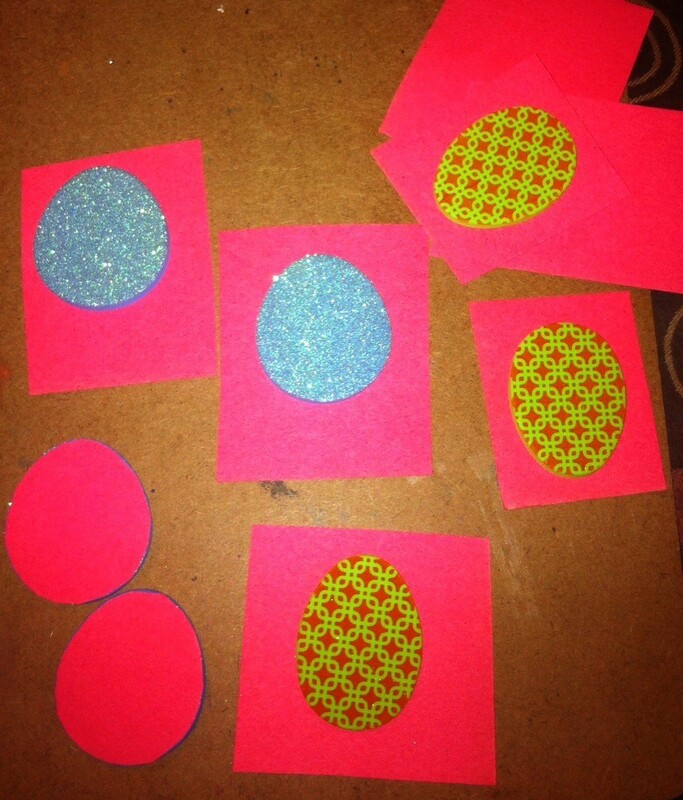 Mine are foam, so instead I placed all the stickers on a piece of construction paper and cut them out. After that, put a piece of soft Velcro on the back of each sticker. 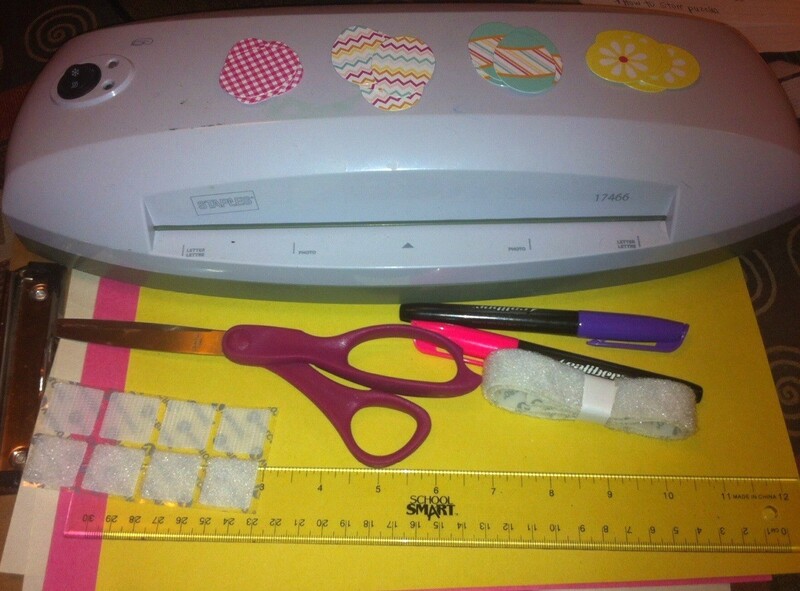 Laminate the game board and place a hard Velcro piece in each square. This game is reusable since it's laminated. You can also make additional game pieces to mix it up. Just add soft Velcro to the back of each again. I store mine in a Ziploc sandwich baggy that I Velcro to the back of the game board. This makes it easy for kids to keep up with the pieces.